With the rapid development of modern electronic information technology,the electronic equipment was swung in the direction from large-scale integration,miniaturization,cost-effective and high reliability.Microelectronic packaging or housing was in combination with electronic design and manufacture, had an effect on promoting the development of information society.In the light of the growing complexity and intensity in electronic devices and installations,thereby referred to an urgent requires to the development and research of high performance electronics material. We would like to illustrate the development of Al-Si alloy(same meaning of controlled expansion(CE) alloys). 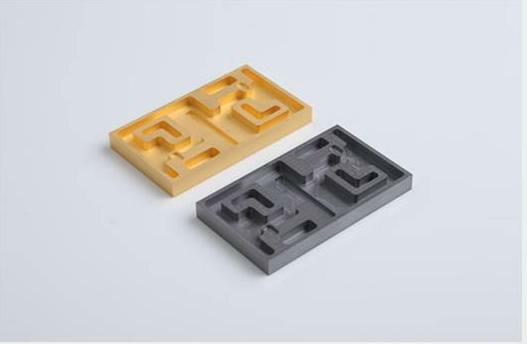 In terms of the combination properties of controlled expansion alloy(Al/Si alloy),it has wide range of application prospect in electronics packaging field. Aluminum Silicon manufactures mainly have Osprey Metals Ltd in British,CPS in America and Denka in Japan and the controlled expansion alloy(CE alloy) was first development by Osprey Metals Ltd,Osprey company produces a series of grades of aluminum-silicon alloy products, is currently in the leading position in the market.The preparation of materials for the domestic also belongs to the research and development stage, the main research and development application units are: Central South University, Beijing Nonferrous Metal Research Institute, Harbin Institute of Technology, Beijing University of Science and Technology and Tianjin Baienwei New Material Technology Co.,Ltd.Our company fabricates a family of AlSi products,the performance is equal to Osprey Metal Co.Ltd and have competitive advantages in domestic market. Tianjin Baienwei New Material Technology Co.,Ltd,our company’s capabilities and competencies draw from the constantly innovate and research to the electronic packaging materials.We adopt advanced Rapid Solidification Technology to fabricate thermal management materials contains controlled expansion alloys,which also called AlSi alloy by our own name.It has different writing types,such as Al/Si alloy,Si-Al alloy.These high performance silicon aluminum alloys offer a unique combination of low thermal expansion,high thermal conductivity and low density,and have various applications in aerospace,semi-conductor device,automotive or defence field. Tianjin Baienwei New Material Technology Co.,Ltd develops and manufactures silicon aluminum alloys(Si:27%~70%) products,which are being exploited in aerospace,high power amplifier and wafer products and so on.Moreover,we also offer aluminum alloys(Si:20%~35%),other chemical elements are also involved in.These kind of aluminum alloys which extremely used for auto spare parts,such as cylinder liners,rotors,inlet valves,bearing caps, X- and Y- positoning tables with linear motors and etc.If you have any interest of our products, kindly send email to us about your detailed requirements.